We are proud to announce our Zambian Board, bringing more Zambian perspective, culture, energy, and expertise to the work we do. Nsofu is a registered nurse with a passion for Women’s Health. She has been serving her community by providing health services for over 20 years. 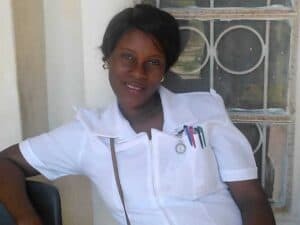 She is an expert in many fields within the nursing profession, including family planning, infant care, and counselling and care for those living with HIV/AIDs. She is excited to collaborate with Bakashana and assist the program in countless ways. Lubona has worked with education in the Northern Province for the last five years. She has many professional and personal persuits that keep her very busy. As a graduate of one of the schools that we work most closely with, Laura Girls, she can relate with the girls of our program in many ways. As an entrepreneur and fashionista, the girls look up to her as a mentor and role model and her confidence, joyful spirit, and positive attitude bring so much to the Bakashana team. Juliet has over 8 years experience working in both local and international non-profit organizations. She is a mother of two and her growing family keep her busy and full of love. Her passion for social service and human interaction have motivated her to work closely with Bakashana. 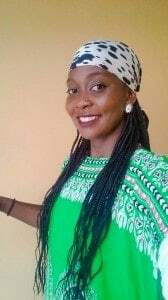 She is passionate about female emowerment and entrepreneurship and hopes to bring her flexibility and integrity to helping more and more young women in Kasama pursue their future of their choice. Mirriam Nampamba hasn’t been able to study for the last two years because her single mother hasn’t been able to afford school fees. Her education has been delayed on two other occasions, each time for an entire year due to lack of financial support. During this time she has helped support her family through farming. Through all her hardships she has resisted early marriage and pregnancy, trusting that one day her dream of being a high school graduate will come true. 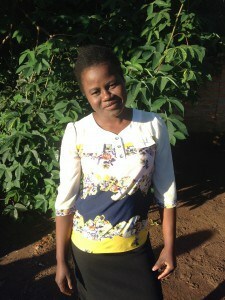 Now, Mirriam is on sponsorship with Bakashana and taking full advantage of the long-awaited opportunity. She is an inspiration to younger girls in the program, and serves as the ‘girl’s representative’ on our Zambian Board, ensuring that the voices of our young women are heard and their priorities guide our work. Aggie has worked with the Ministry of Community Development for over ten years. As a Community Development worker, she specializes in working with Women’s Groups in rural areas as they improve the lives of themselves and their family through community saving and income generating projects. She has served in various rural communities as the chairperson of the selection committee for CAMFED (Campaign for Female Education). Aggie’s passion for working with and helping to empower women comes in part from the influence of her mother, who was one of the first female Head Teachers in Northern Province. She lives at home with her husband and three children, and is the main breadwinner for her family. She is especially proud of her youngest daughter, Christabell, who is studying grade 12 at the best school in the region. 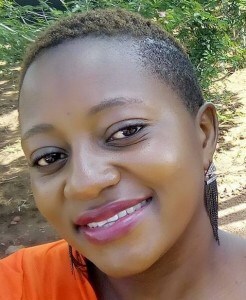 Hellen Nsunge De Jonghe began her career in education as a teacher of English as a Second language and French as a Foreign Language after pursuing a double major in education at the University of Zambia. From 1995 to 2008, she worked as a classroom teacher, first at a government secondary school and later at 2 international schools in Lusaka. During this time, she sometimes worked as a part time teacher of French at the Alliance Francaise of Lusaka. She was also actively involved in engaging her secondary school students in community development initiatives for co-curricular activities. In 2008, she enrolled for a post-graduate diploma course in Project Management with Cavendish University in Lusaka. Upon completing these studies, she did voluntary work at Project Concern International on a project that supported infra structural development of community schools and the continuing professional development of their teachers. In April 2009 she joined Room to Read Zambia where she worked as a Reading Room Project Manager. She worked with teachers, pupils and community members to open libraries in schools and promoted literacy and reading habits. In May 2010, she joined Peace Corps as a Program and Training Specialist on the Rural Education Development Project. In February 2012, she became the Associate Peace Corps Director of the Education Project. She has a great passion for education recognizing all the benefits it brings forth. She loves traveling and is an avid reader. 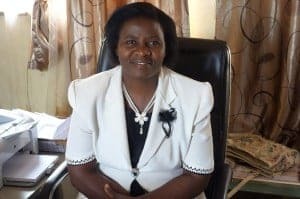 Ivy Briget Kapole is the Deputy Head Teacher of Kasama Girls Secondary School, and has worked with the Zambian Ministry of Education for over 35 years. As a mother and “born teacher”, her passion for and commitment to young women’s education have served as foundations for her career and life. She has worked with Bakashana for the last two years, and is excited to become more involved in the program. Christopher Chileshe is Head Teacher at Kasenda Basic School in Kasama, and has worked with the Zambian Ministry of Education for over 35 years. As a co-founder, Mr. Chileshe has been with our program since the beginning, and has played an essential role in the formation and vision of this program. His passion for education, his humble beginnings, and his role as a male ally for women in a male-dominated society bring balance and perspective to our program. In addition to holding a two-year teacher’s certificate, Mr. Chileshe also has a BA in Human Resource Management. He has been sought out by various development organizations including the Peace Corps and Volunteer Services Organization (VSO) to develop training models for volunteers in Zambia and Cambodia. In fact, Mr. Chileshe is one of few Zambians to have lived in Cambodia, and even speaks some Khmer! Mr. Chileshe carries a strong presence in the Kasama community; he is an integral member of the Provincial Education team. His connections and access to Ministry and other officials has helped secure Bakashana’s niche in Kasama. "One that would be a leader must be a bridge." Check out the Women's History Museum's 'Leading Ladies' Podcast okayafrica.com	'Leading Ladies' is a Zambian historical podcast on influential women who lived between the 17th and 19th century.